4 Menachem Av marks the 40th year (5734-1974) since the arrival of our Rosh Yeshivah, Rabbi Binyomin Cohen. In honour of this occasion, the students of the Yeshivah published a Sefer of Chidushei Torah (Vol. 20), consistent with the Rebbe’s directive that the Yeshivah Gedolah be a centre of Torah learning for Melbourne, and all of Australia. 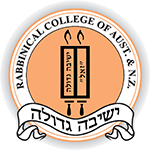 Since Rabbi Cohen’s arrival on the shores of Australia exactly forty years ago, the Yeshivah has grown from a handful of students to more than seventy students. The Sefer is only a token of appreciation from the Bochurim and Shluchim for Rabbi Cohen’s exceptional dedication to each individual’s personal growth. May Hashem bless him to continue educating and guiding his students in the ways of Torah and Yiras Shamayim. The Sefer was also dedicated in honour of the Rebbe, marking twenty years since Gimmel Tammuz. In the Zechus of this Sefer, may we be Zoche to reunite with our Rebbe and see the Geulah Shleimah speedily! The project was spearheaded by Shliach Motti Rubin. Special thanks to Shliach Mendel Shpitzer and students Shmuly Meyers and Akiva Vallins for their assistance.